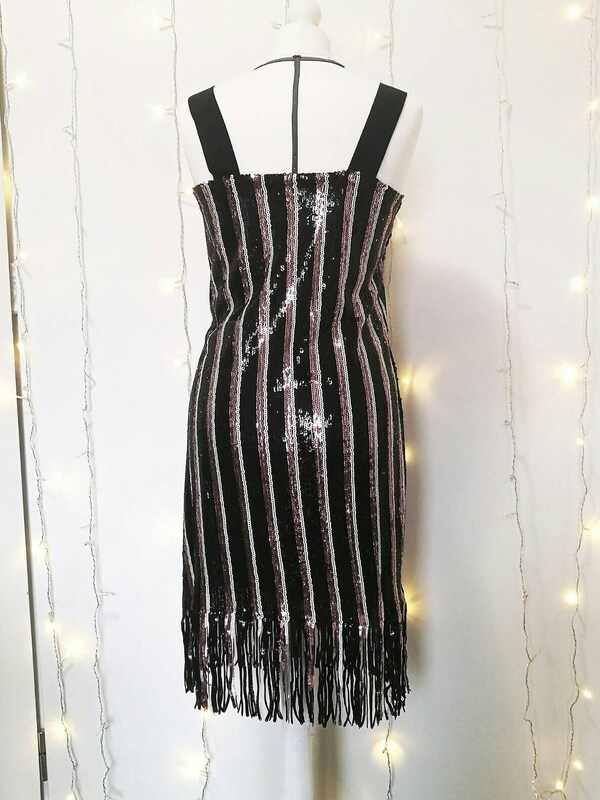 LOUISE is a a very elegant party dress for "flapper girls", with fringes on the bottom. 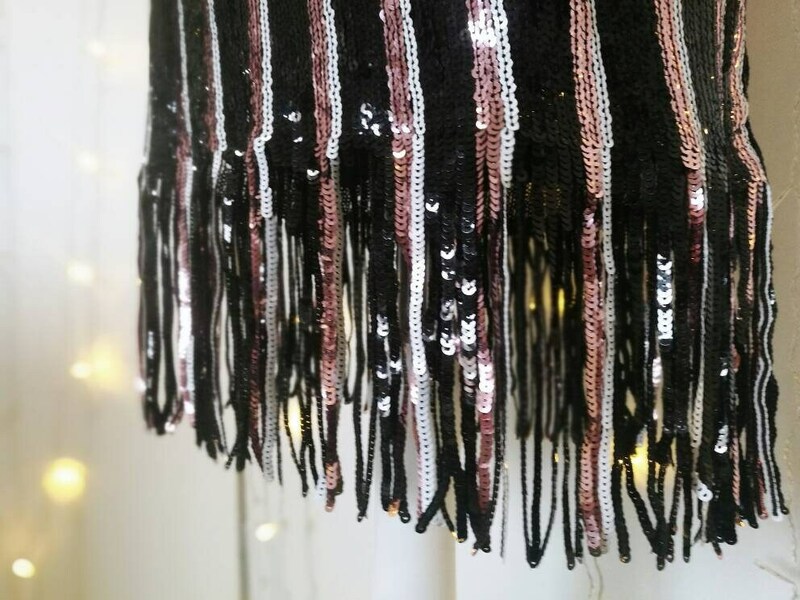 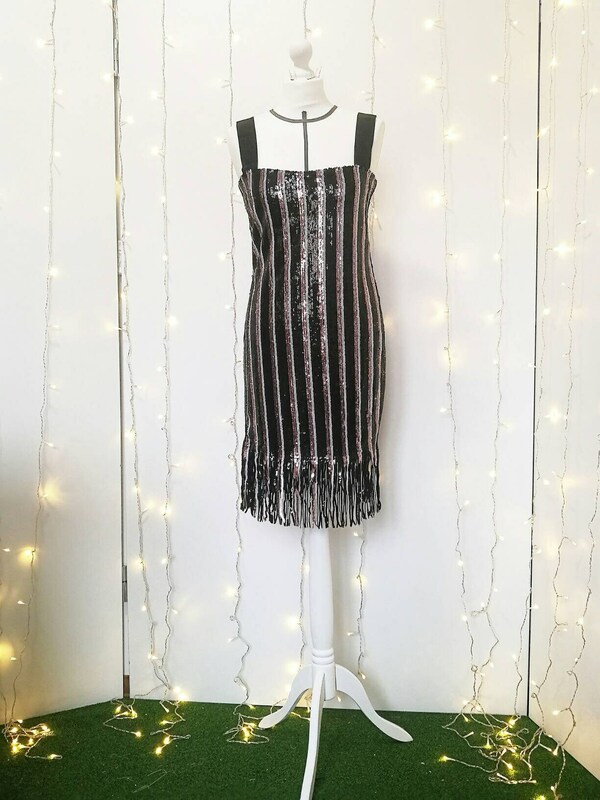 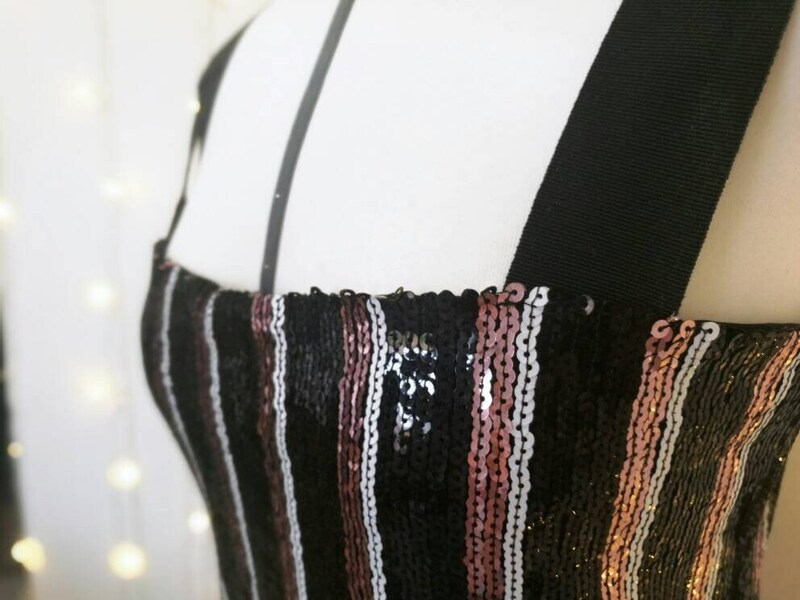 Sequins make LOUISE short sequined dress ideal for special occasions as a New Year's Eve, a Great Gatsby style party, a wedding, an evening ceremony, a special birthday party, a red carpet and other important occasions. 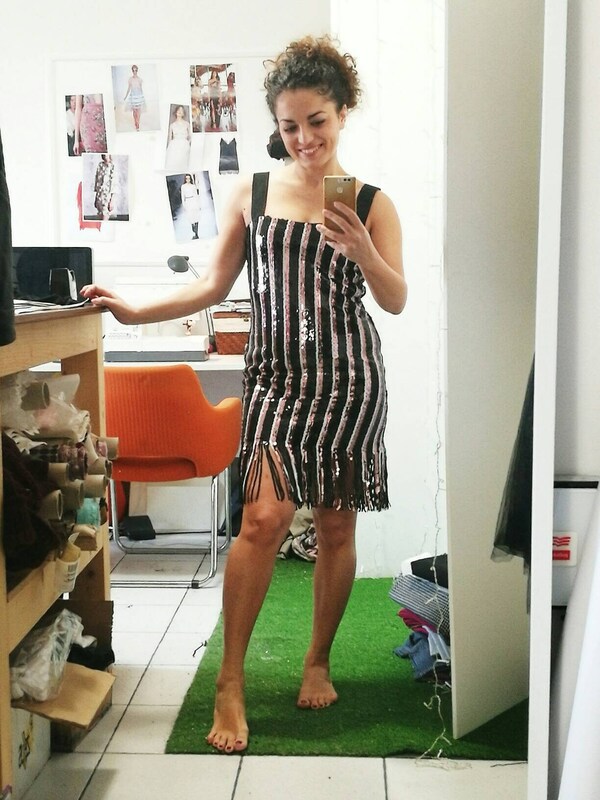 LOUISE is an elegant tunic dress made in a striped sequined fabric. 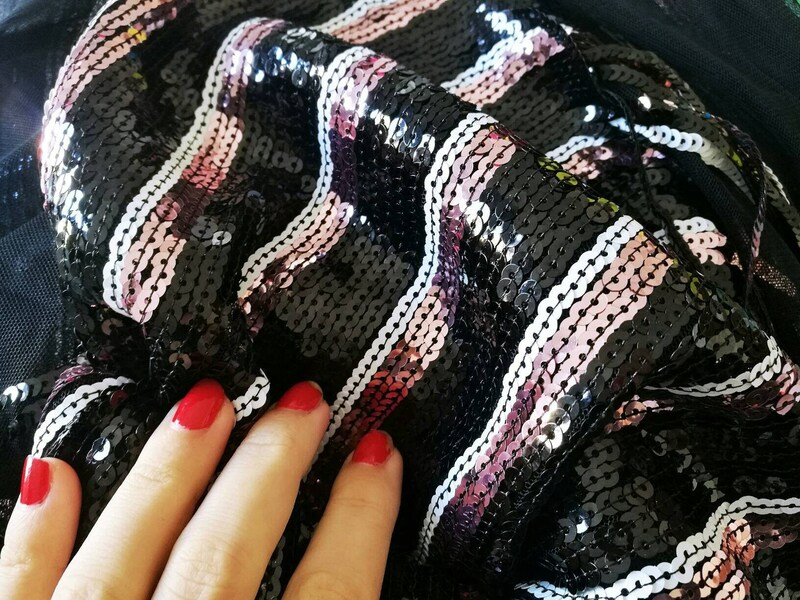 With its confortable A line, LOUISE dress hides small defects as belly. 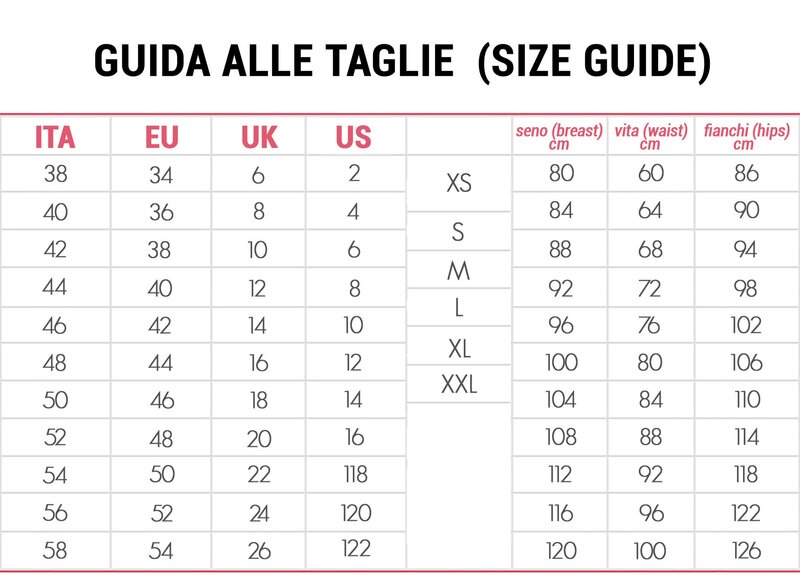 If you prefer the dress more fitted on your body, order a smaller size: fabric is stretched. 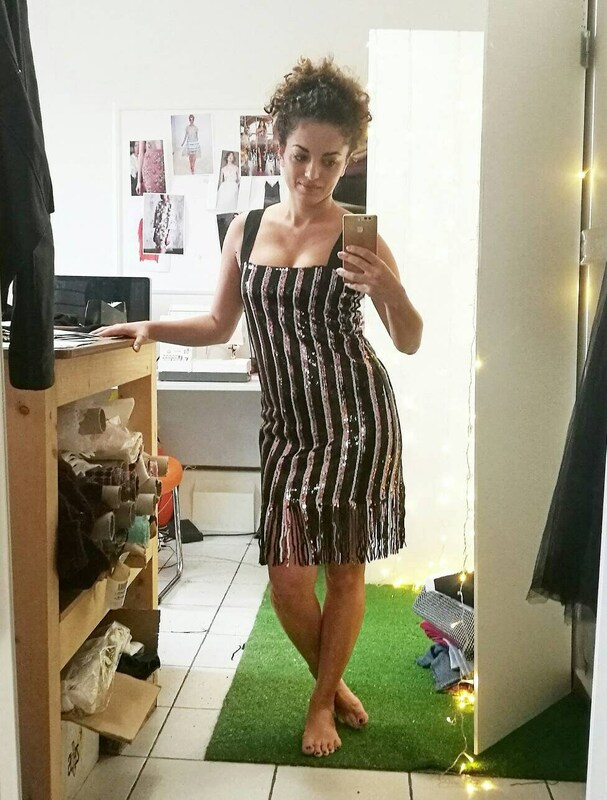 Gros grain wide straps (not adjustable).